Jim has studied art as an art major in high school, the University of Wisconsin, the University of Arkansas at Little Rock, the University of Central Arkansas, and numerous studies with other artists. 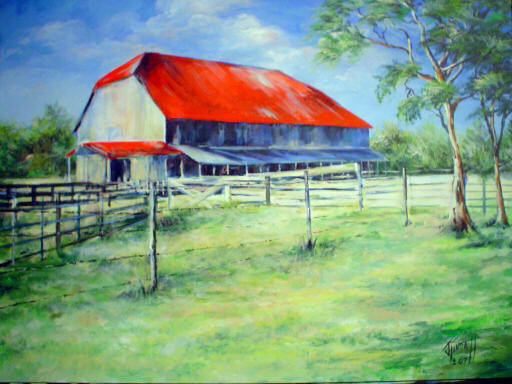 The artist has won numerous art awards and honors. His art is part of public and private collections around the world. When asked about one of his most memorable art related experiences. 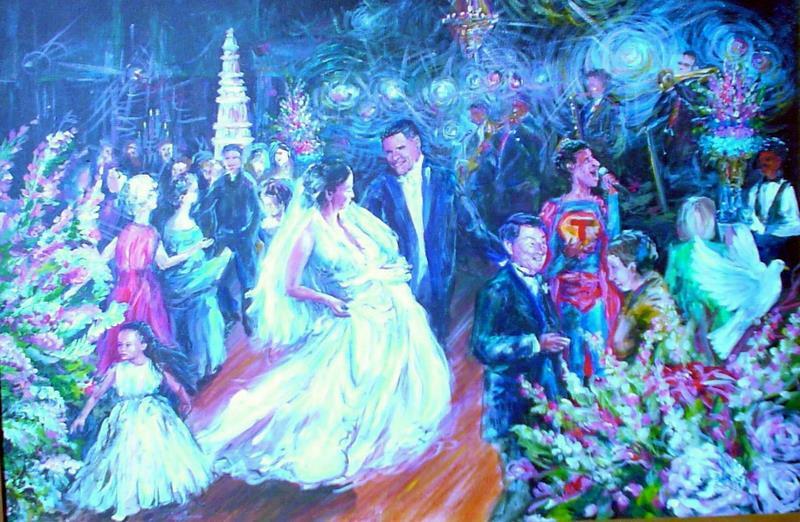 Jim refers to the three years he spent teaching the late Jackson T. Stephens painting in the style of the impressionist. 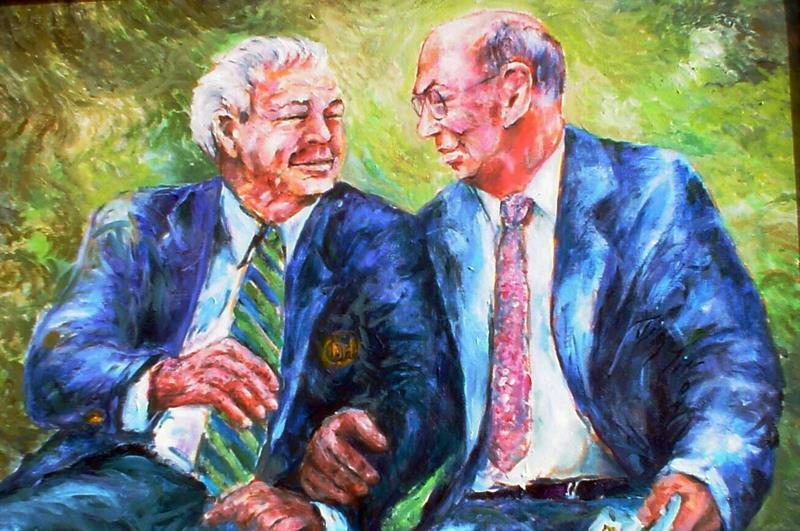 A portrait painting he did of the late Jackson T. Stephens just before his passing featuring Mr. Stephens and Arnold Palmer the golf pro visiting at the First Tee of Arkansas. Currently Jim is an expressive art specialist with Birch Tree Communities, Inc. teaching a therapeutic arts program which he designed and integrated into the day treatment program serving nearly Three Hundred adults with acute mental illness. Working with the mentally ill has been one of the greater experiences in Jim’s life. Jim’s great desire is that the community might embrace people with mental illness in a way that allows them to participate in the culture of the community in which they live to the greatest extent possible. Jim’s seizes opportunities to play a small part in helping reduce the stigma attached to those suffering with mental illness. Jim has spread his belief that the arts are for everyone regardless of age, education, or social status. Jim put legs on that conviction when he was recruited by a social worker while majoring in fine art at the University of Central Arkansas to teach inner city children art. That was the beginning of an art teaching career that has spanned nearly forty years. Jim began his arts career with the City of North Little Rock, Arkansas and spent the next ten years developing the arts through the Parks and Recreation Department as art director. During the peak of the cities arts program their were some 500 men, women and children taking some form of art instruction at the cities five recreation centers. During the early years Jim co-founded the Arkansas League of Arkansas and served as its first president for the first five years. The ALA is a grass roots organization established for the specific purpose of promoting the philosophy that the arts are for everyone regardless of age, gender or economic status. The ALA is still active and going strong now nearly forty years later. Also in the mid seventies Jim initiated the Annual Burns Park Arts and Crafts Fair that at it’s peak attracted nearly fifty thousand visitors to view some three hundred exhibiting artists from all over the mid west. Jim enjoys sketching caricatures on location at private parties, corporate picnics and festivals. His drawings are created using limited broad point permanent ink lines capturing a positive profile likeness of attendees in as little as one to two minutes.